Hours of Operation: 8 a.m. – 10 p.m. 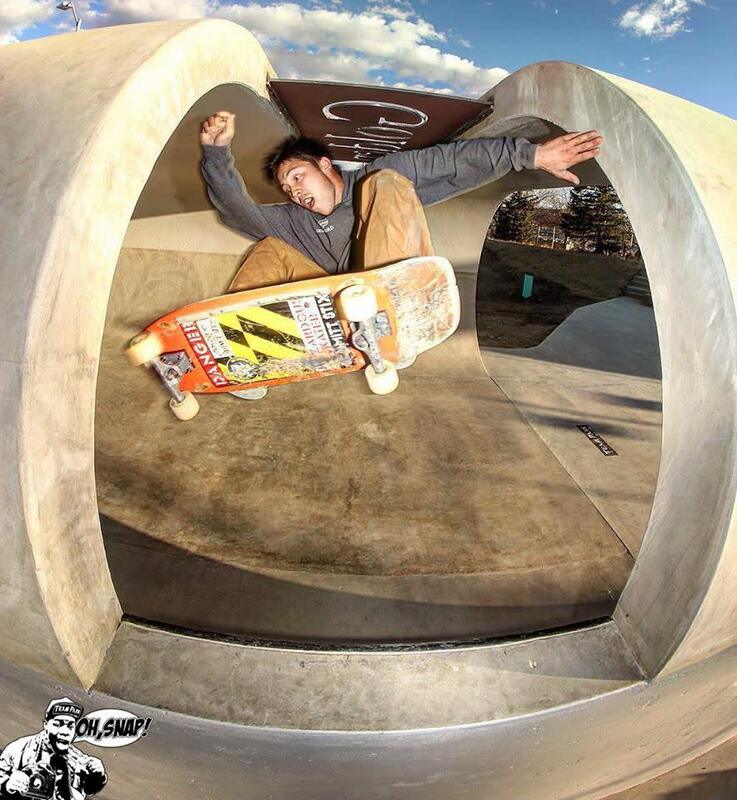 Located on a mesa that overlooks much of Golden and the Platte Valley where Denver is located, the Ulysses Sports Complex offers a 21,500 square foot skate park which was recently named the “2017 Best Skate Park” by the Denver Westword and has become one of Colorado’s most popular hubs for skateboarders since its grand opening in April 2017. 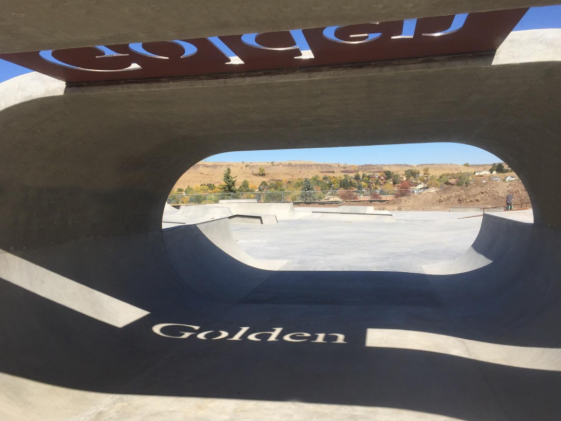 The skateboard facility features numerous different rails such as the bump to bar, A-frame rail, a mini three stair rail as well as ledges, quarter pipes and banks surrounding the entire park. 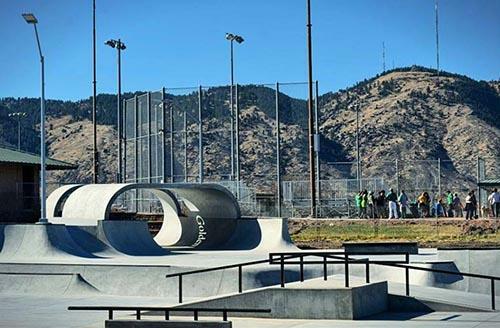 A snake run/ ditch area flows through the middle of the park as well as an eight-foot tall bowl located in the South East end. 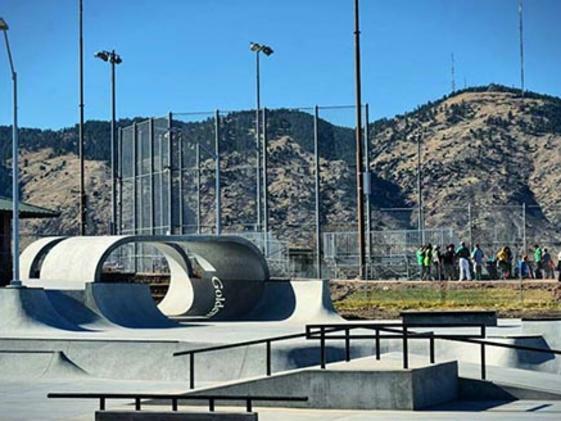 The rails, jumps, two half pipe structures, fun box, quarter pipe, fly box and ramp offers a little something for everyone. The featured obstacle is the Big-O! 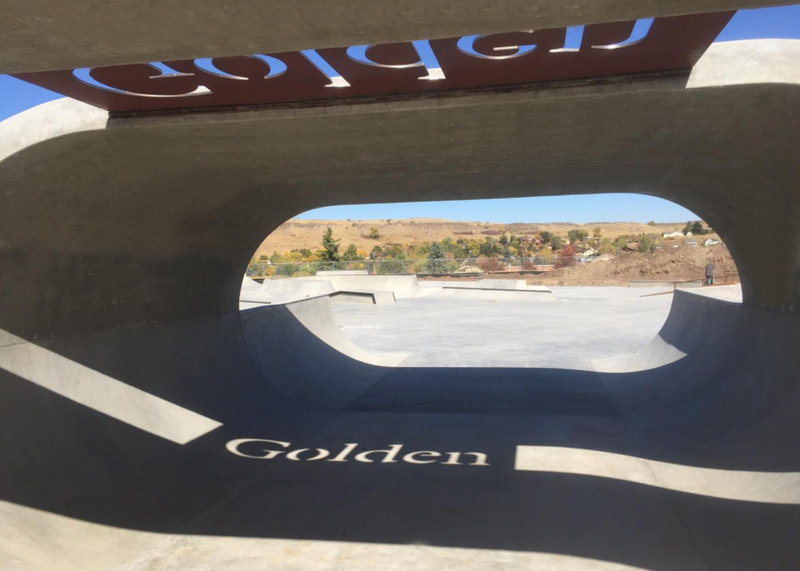 When the sun hits it at the right spot, you will see the Big-O cast a shadow of the word “Golden” on the ground. Watch out for little scooter kids on the street course and safety gear required!